There is a common practice among thoroughbred horse breeders to save the brood mares strictly for giving birth. They don’t want to have a lag time for the mare to raise her foal, so they put a lesser mare out to stud at the same time and use her for milk. This mare is then given the thoroughbred foal to nurse so its mother can be bred more quickly. 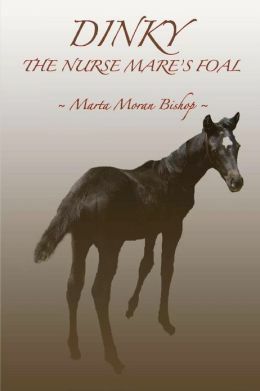 So, what happens to the nurse mare’s foal? Many end up at the butcher’s. Some are saved by well meaning volunteers and others are put in mass auctions, their fates unknown. What becomes of them after, few care. Some are abused, mistreated and finally rescued by a loving family. Dinky, the Nurse Mare’s Foal, is one of these lucky few. He tells his story of fear, abuse, neglect and illness in this lovely book by Marta Moran Bishop. The language of Dinky is easy enough for young, independent readers, but the story is marvelous for adults. Marta has captured the voice of Dinky, letting him tell his tale of abuse and neglect. We travel with Dinky from his birth, through months of neglect, until he is finally adopted by a loving couple who take him home and make him a part of their family. You will love Dinky’s tale. It will make you laugh, cry and everything in between. 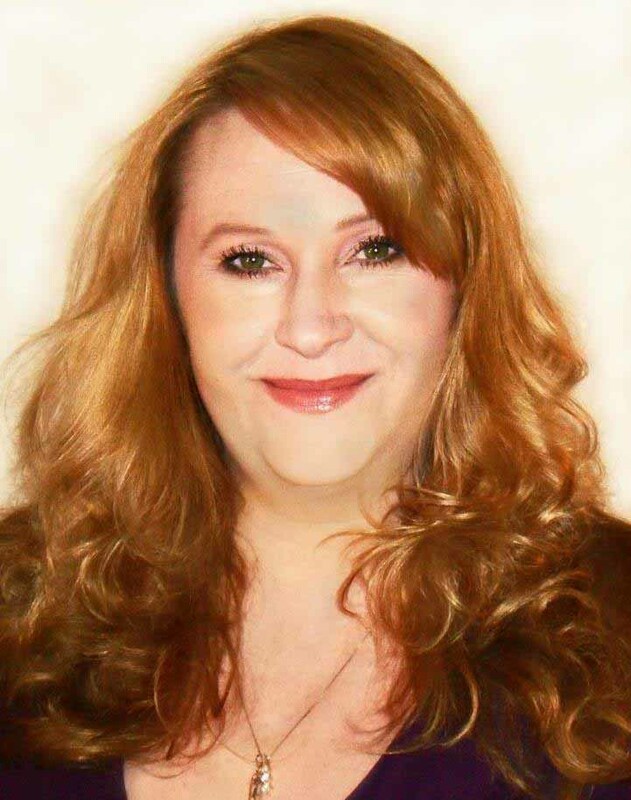 Dellani Oakes is the author of Indian Summer, Lone Wolf and The Ninja Tattoo. Look for them on Amazon, Barnes & Noble and Smashwords. I met Leslie Stuart via Facebook. She was looking for people to read and review her newest book, “Roses in Winter”. I’m always up for a new book to read, so I jumped at the chance. Am I glad I did! Not only did I meet a lovely person, but I read a great book. Welcome, Leslie! The concept for the Destiny Whispers Collection of Romantic Adventures began several years ago, after I developed Lupus and was housebound for several months. Writing was a mental escape from the pain. The Lupus symptoms are mild now and my life is fairly normal, but I feel oddly blessed by the illness because the wonderful flow of inspiration has never stopped. Roses in Winter began as an extremely vivid and highly emotional dream. I woke hearing Savannah’s voice, seeing the beauty of the Montana wilderness in my mind, and feeling the unbearable weight of Riley’s heartache. I worked the whole day and night on that first draft because I felt sure the story of Riley & Savannah’s bittersweet love was something the whole world needed to read. What do you do to keep yourself focused? Coffee. Lots and lots of coffee. Do you stay with one project or do you work on multiple projects? *grins* I’m always mentally juggling at least three books at a time. There are nine books, total, in the Destiny Whispers Collection of Romance Novels. Most are already ¾ written. It’s a busy place, inside my head, thus the need for mega-doses of caffeine. I’m an extremely visual person. I see a scene in my mind and the emotional content just flows. It’s easy to put myself inside my character’s heart, stepping inside their worries, feel their needs, and live out their dreams. If I’m busy doing something else when inspiration hits, I’m good at retaining the feeling of a scene by letting it play over and over in my mind. When I finally sit down to put those feelings into words that make the scene real for my readers, I’ve already rehearsed it a hundred times. I’m not big on describing every tiny detail of the physical environment. I’m a Thinking-Feeling-Action oriented person. As a writer, I also read voraciously, but when I read scenes bogged down in description overkill… I skim it. Sorry. It’s my personal pet-peeve. As an author I focus on making the characters real. I want my readers to experience their feelings, thoughts, and understand their reactions to life. I want my readers to emotionally LIVE the story. For instance, I wrote how dangerously cold and hostile Montana felt to Savannah on the fateful day that she returns home to Graystone and how the snowflakes sizzle when they hit her fevered face. It worked beautifully. My emotional content created a visual tapestry of the snowstorm that allowed readers to use their imagination. That is my unique voice. Do you know your ending before you begin? Not always right away, but usually after rough drafting 20+ pages the characters spark to life; they live and breathe, for me. That’s when I know exactly how I want their conflict to end. Happily, of course! “Roses in Winter” was produced by World Castle Publishing on Oct 7, 2011. What other books do you have published? This is my first book, but definitely not my last! Arianna Hartwell has a secret from the world. Her real name is Savannah Greystone and she’s from a small town in Montana. To the world, she’s a superstar, but to Riley Rosemont, she’s his “Savage”. After a terrible accident that nearly kills her, Savannah returns to Montana to find that Riley is living in her family home. He’s not happy to see her. Savannah’s body and soul need to heal. She’s come wanting to die, but needing to find redemption. Her shattered heart still holds four words to be true, “Forever Isn’t Long Enough.” Riley’s hot and cold attitude alternately helps and hinders her recovery. Riley Rosemont is a Montana Man—quiet, unassuming, stoic. His love for Savannah can overcome anything, except the fact she left him, pregnant with his son, to go to NYC for fame and fortune. He’s a man who holds his anger and frustration in, occasionally lashing out at the woman he still loves. Deeply hurt by Savannah’s desertion, he finds it hard to put aside these baser feelings and open his heart to love. Forced into seclusion by an early season blizzard, the time has come for both of them to put the past behind them and move on. Relying on one another seems the only way to do that. 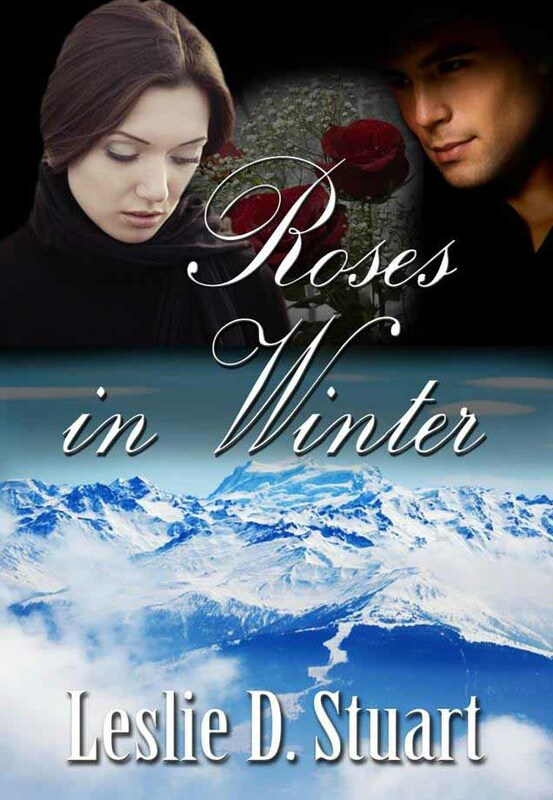 “Roses in Winter is a beautifully crafted, well paced novel of love, loss and rebirth. The characters are wonderfully depicted, true to their nature and three dimensional. Leslie weaves a story that makes the reader laugh, cry and want to yell (at Riley) sometimes simultaneously. I highly recommend this novel for anyone who enjoys a good laugh, a great cry and a wonderful love story.